I understand that Las Vegas doesn’t exactly top the lists for family friendly destinations. But it can be a great place to visit on a longer road trip (like one we did from Phoenix to Disneyland) or for a few days as a family escape. I speak from experience, I took my 8-year-old daughter to Las Vegas twice in 8 months. 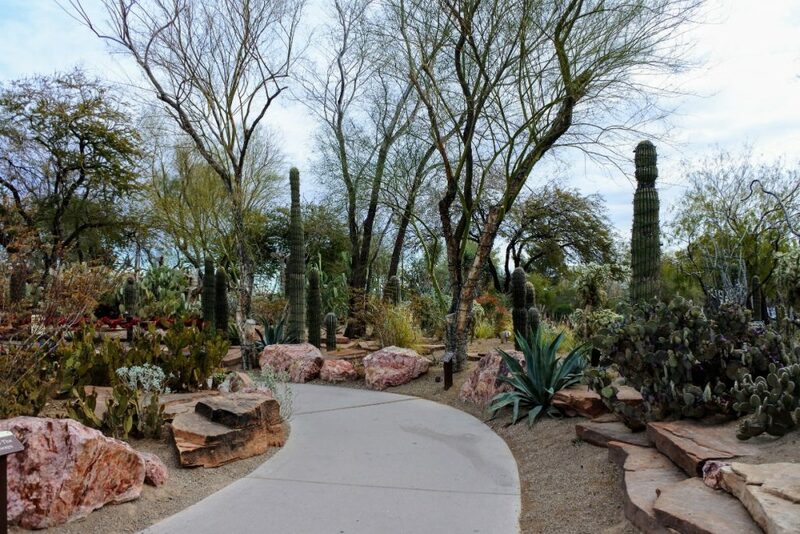 This article will focus on experiences we had in the greater Las Vegas area. If you want to see what we did on the main drag of Las Vegas Boulevard (a.k.a. The Strip) check out this article. Just 20 minutes by car off the Strip you will find this chocolate oasis. This small batch candy factory has a three-acre cactus garden (we spent 30 minutes exploring) and a self-guided tour where you can peer into the inner workings of the factory through large windows. These experiences are available for free to the public. 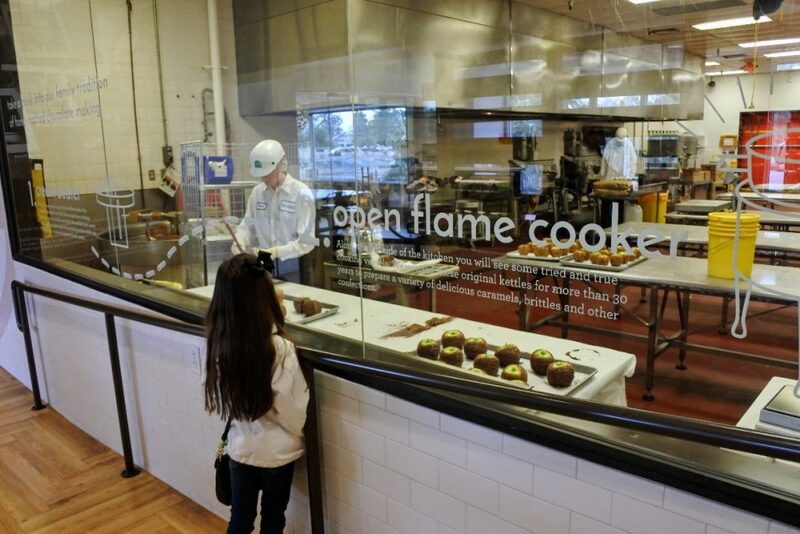 When we were there we got to see cooled caramels being cut and caramel apples given their final decorative coating of chocolate. I also called ahead and scheduled a chocolate tasting for our group. It cost $15 per person when we went, but I felt the cost was well worth it. In the tasting, you learn about how cacao is grown, harvested, processed and turned into our beloved chocolate. 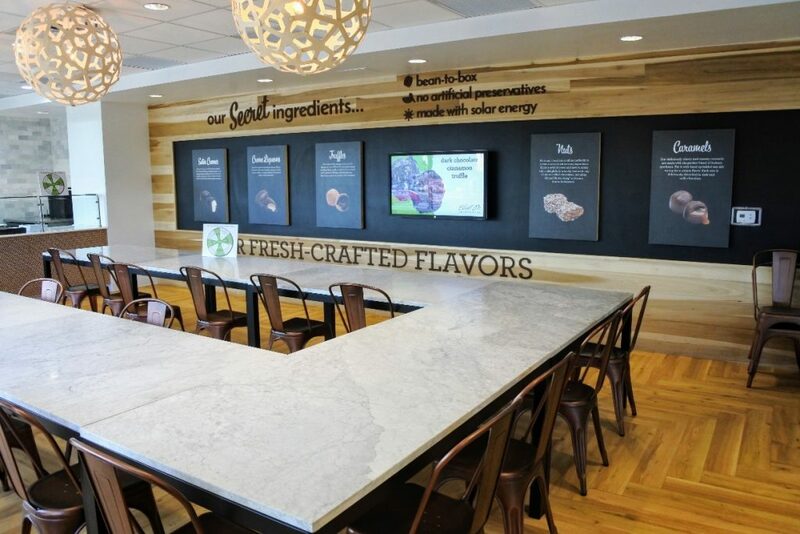 In addition, you are taught how to properly taste chocolates (who knew?!) and you go through the tasting process with four sample chocolates. The tasting took about 45 minutes, and we had a lot of fun learning something new. 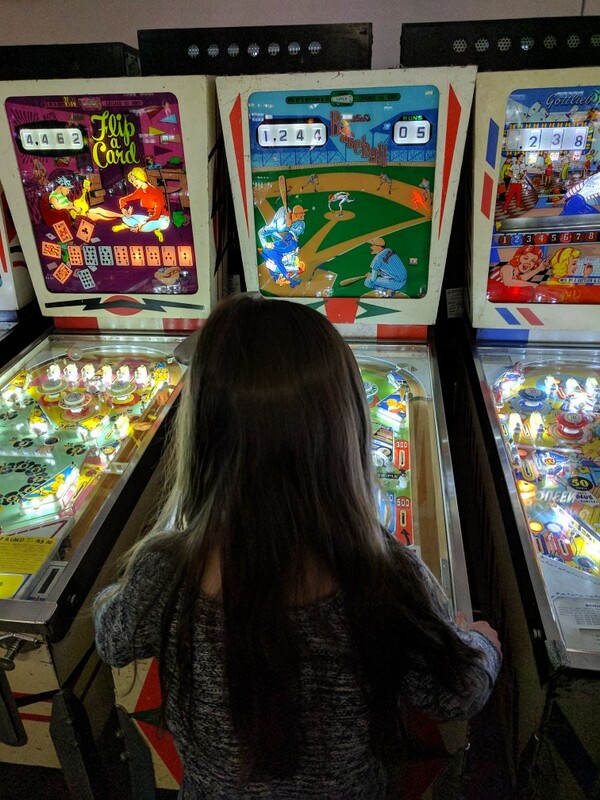 This is less museum and more old school arcade. Don’t let the sketchy outside appearance deter you from making this stop. 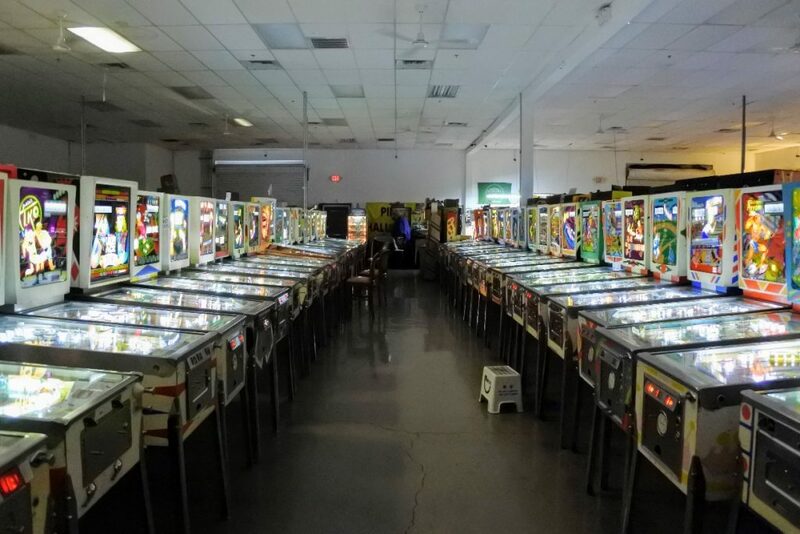 There is no fee to enter, change machines abound, and there are more pinball machines and cabinet video games than you can imagine. 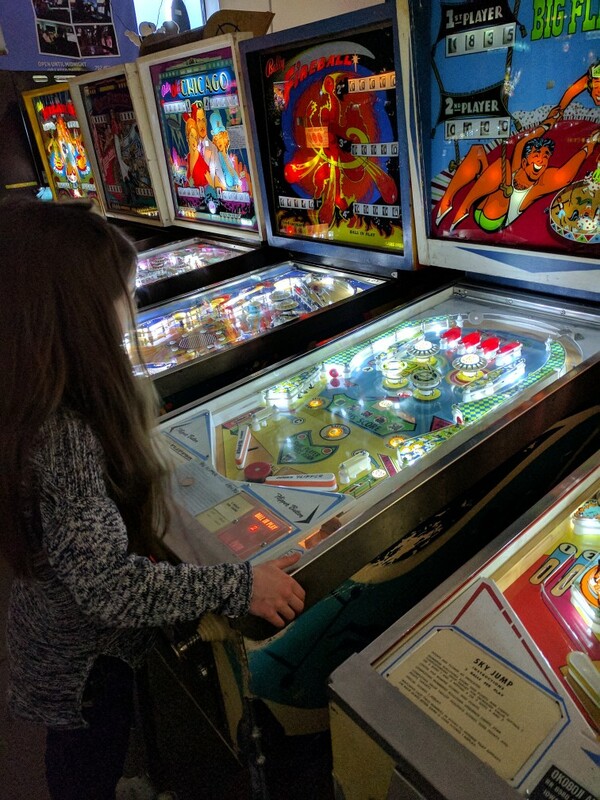 Elizabeth played several pinball games from the 1960’s to some more current machines. For me, the most fun was the Teenage Mutant Ninja Turtle cabinet where all four of us got to play together. Four of us played games for over an hour on $12 in quarters. We could have easily stayed longer, but we had to catch our flight home. The Neon Museum and Container Park are both places I felt comfortable taking Elizabeth in our rental car during the day. However, the areas surrounding them are not places I would suggest exploring on foot or without being very aware of your surroundings. Old casino, restaurant and motel signs from Las Vegas’s early days are the stars on this hour-long tour given several times per day. Tickets routinely sell out ahead of time, so I highly recommend purchasing them before you go. 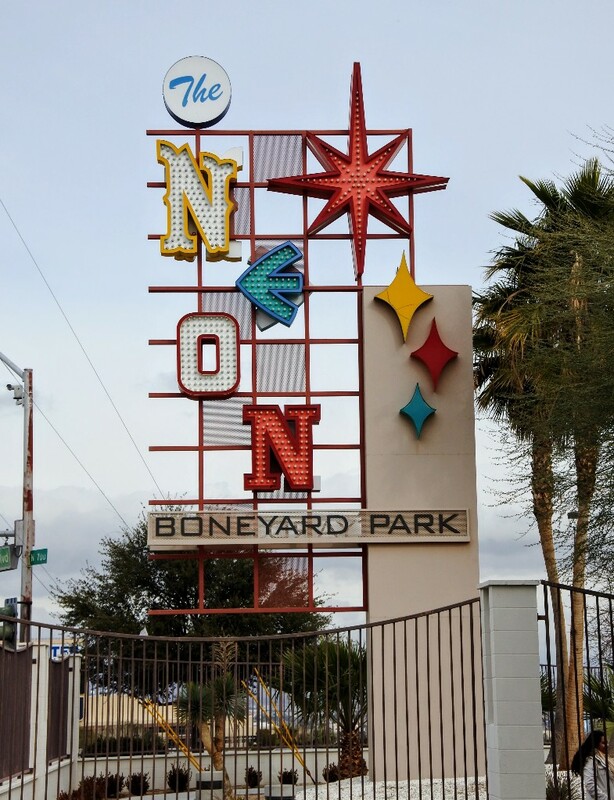 The docent (guide) teaches you about the history of Las Vegas, how neon signs were made, and the art of sign restoration. 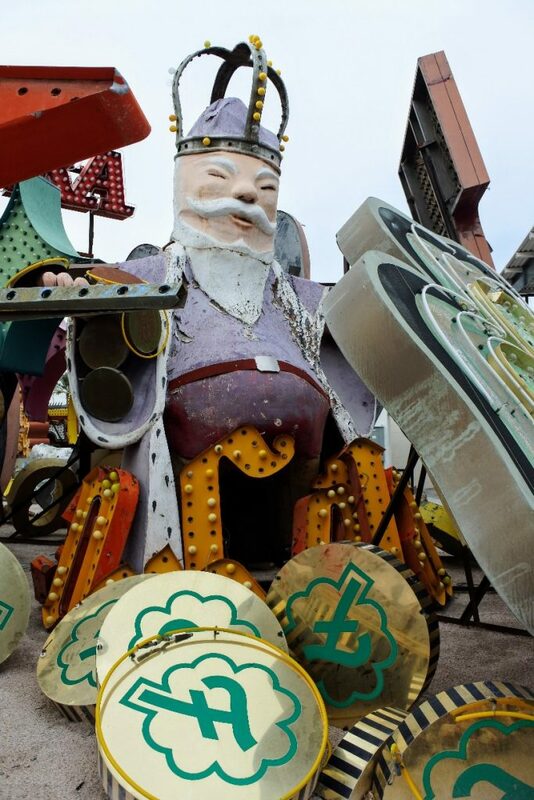 And if you have a budding photographer, they will especially love the potential in the neon boneyard. 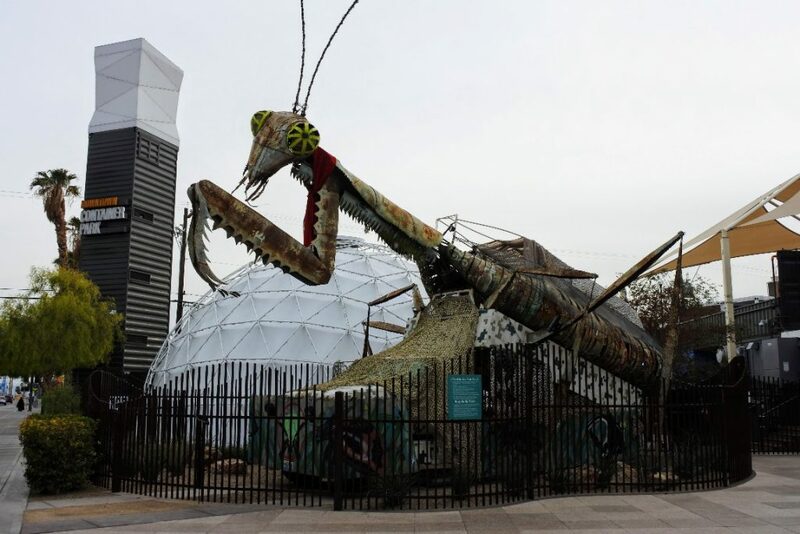 You are greeted by a forty-foot-tall praying mantis statue just outside Container Park. At night the mantis emits flames up to 6 feet high in sync to music. 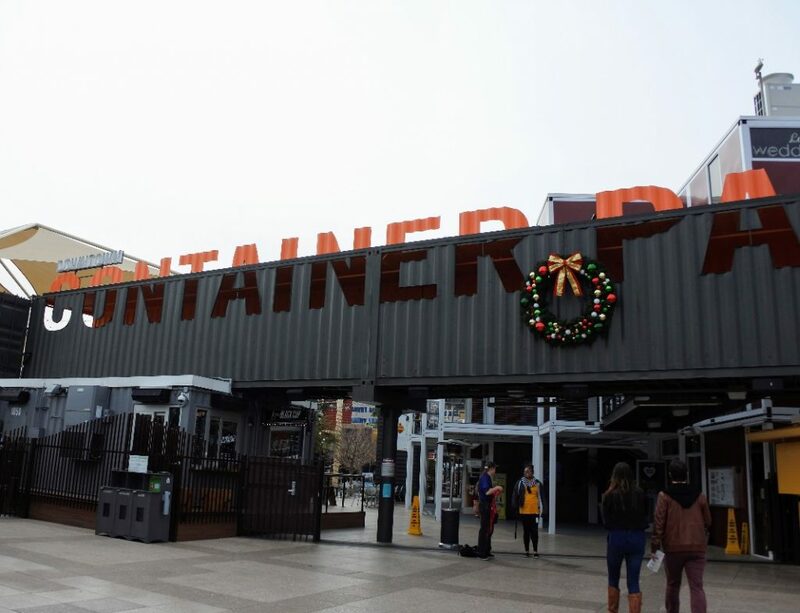 Once inside you will find a small square of re-purposed shipping containers turned into restaurants and boutique shops at this downtown Las Vegas spot. 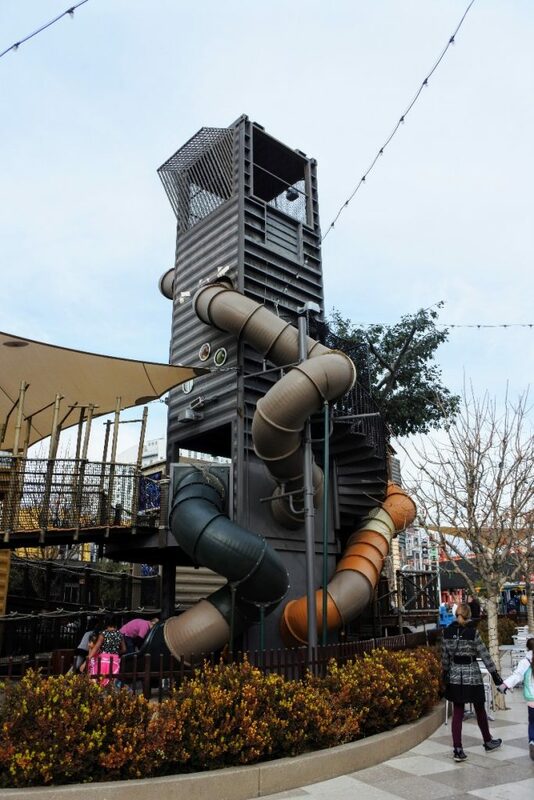 In the center of the shops and restaurants is a large playground where older kids can run wild while you grab coffee or a drink. Or if your kids are younger, you can join the fun on the playground and grab something to eat after. 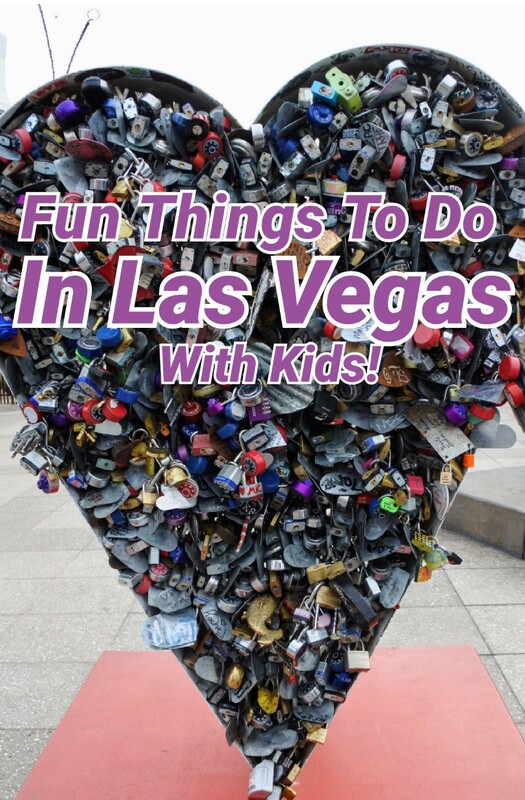 Need more ideas on how to make a family trip to Las Vegas fun for everyone? 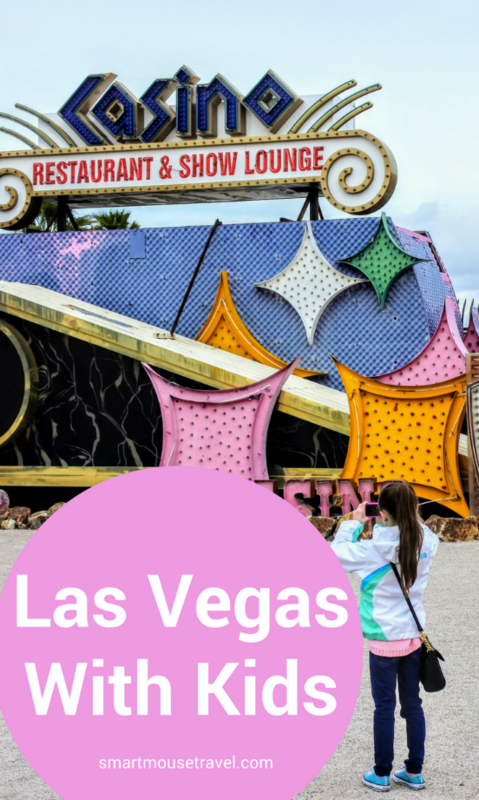 See my top ten list on family friendly sights on the Las Vegas Strip. 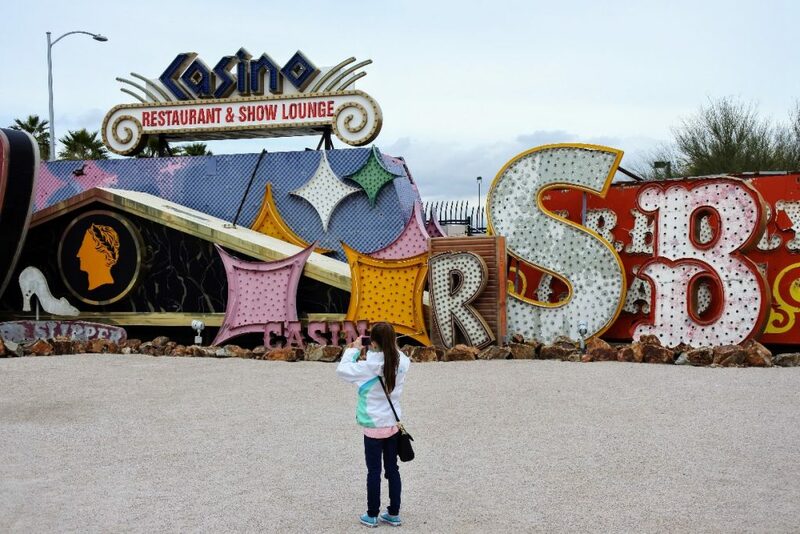 Previous Post:Visiting Las Vegas With Kids. No, Really.